The Sidhil Solite Pro is a new range of electric profiling beds replacing the Solite UK 4. 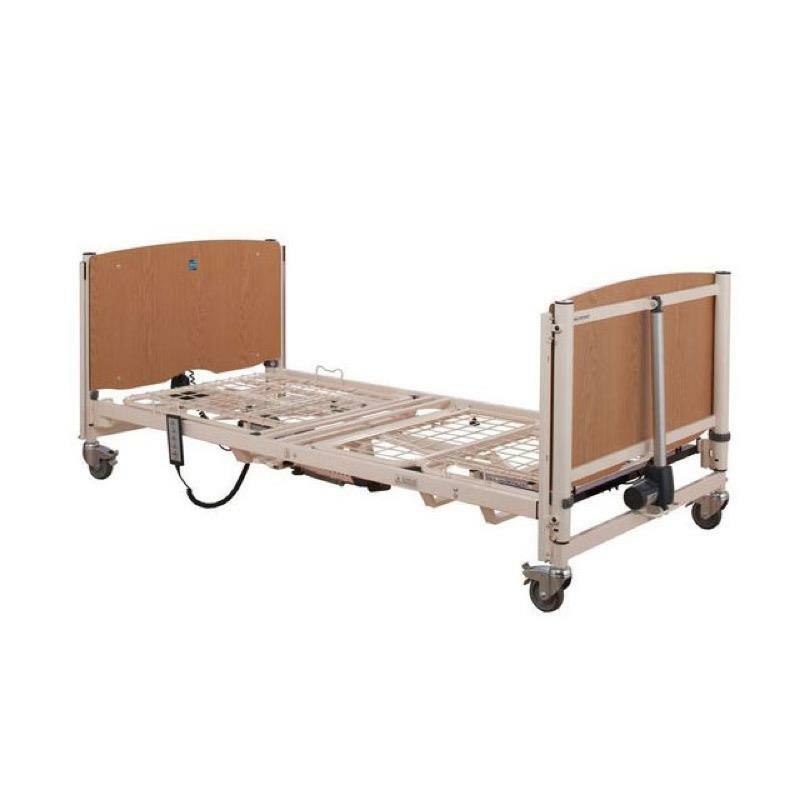 Available in standard or low height and now with the option of full length side rails. This version has battery back-up option. The Sidhil Solite Pro with Battery Backup is a new range of profiling beds that replaces the ever popular Solite UK 4. The Solite Pro is available in a standard or low version offering different height ranges to suit each user. There is now also the option to have integrated full length side rails if required. Both models feature electrically operated backrest, knee break plus tilt and reverse tilt positioning as required. It is operated using a single handset with lockout programming. 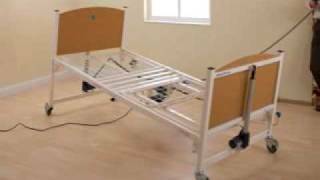 Lightweight sections make the bed easy to transport, whilst the reduced number of moving parts mean it is extremely reliable in use and easy to clean. It has been designed for use in community locations but is also a popular choice for those receiving care at home. The Solite Pro has been redesigned ensuring its attractive domestic feel is retained. The Solite Pro features an improved integral leg extension with safety features and an improved auto regressing backrest which eliminates pinching in the sacral area. Supplied with a 5 year warranty as standard. 5 year warranty (1st year - parts and labour, Years 2 to 5 - parts only).